On Wednesday this week, Kanye West was a guest on the 107. 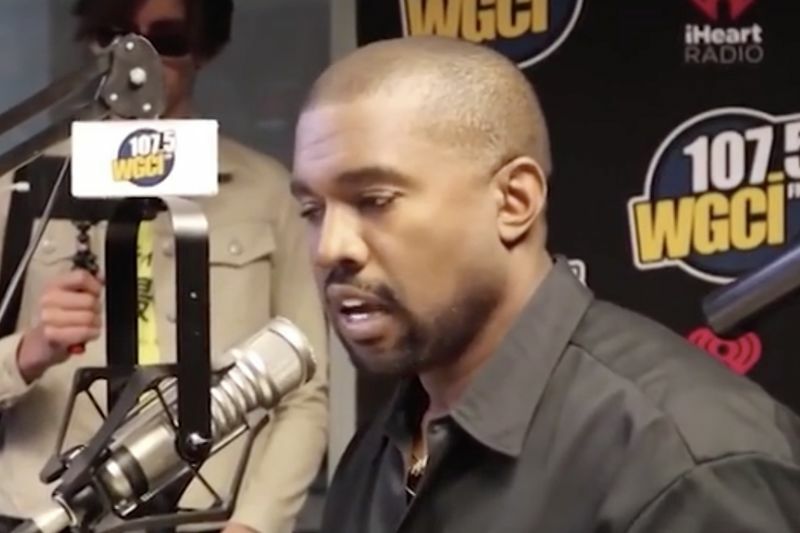 5 WGCI radio station and publicly apologised for his slavery comment earlier this year. Kanye says, "I don't know if I properly apologised for how that slave comment made people feel, so I want to take this moment right now to say that I'm sorry for hurting, I'm sorry for the one-two effect of the MAGA (Make America Great Again Donald Trump campaign) hat into the slave comment." "And I'm sorry for people who felt let down by that moment, and also I appreciate you guys giving me the opportunity to talk to you about the way I was thinking and what I was going through and what led me to that." "I feel that (the president) cares about the way black people feel about him, and he would like for black people to like him like they did when he was cool in the rap songs and all this," West told WGCI. "He will do the things that are necessary to make that happen because he's got an ego like all the rest of us, and he wants to be the greatest president, and he knows that he can't be the greatest president without the acceptance of the black community," the rapper added. "So it's something he's gonna work towards, but we're gonna have to speak to him." Video: Black Students Can't Sleep At Yale – Trevor Noah Is On It! Video: My Fitbit Says I Need To Walk...now! Video: Wanna Feel Smart? Look No Further! Video: People Watching Or People Stalking? Video: Tmi Moment That Will Raise Your Eyebrows! Video: People Who Just Didnt Give A F••k Anymore!